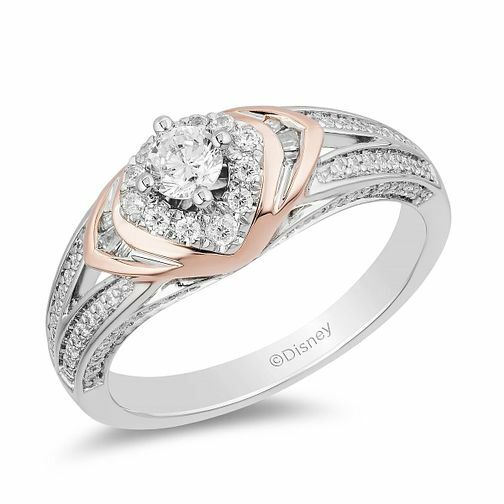 A dazzling diamond ring fit for a princess, this elegant design from the Enchanted Disney Fine Jewelry ollection takes inspiration from the sleeping beauty Aurora. Crafted in gorgeous 9ct white gold, a spectacular display of set diamonds grace the fancy split shoulders and captivating centrepiece. 9ct rose gold elements add an extra touch of chic upon the centre, making this ring one not to be slept on! The total diamond weight of this ring is 0.50ct.